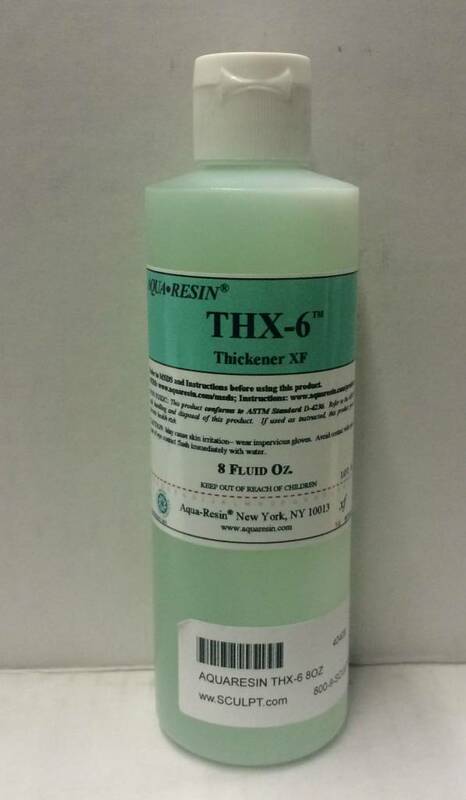 THX-6 is a highly efficient thickener concentrate used in conjunction with an already mixed Aqua-Resin gel/surface coat or laminating mix. 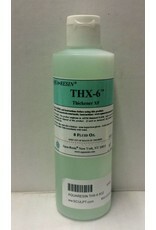 By adjusting the proportions of THX-6 used, viscosities such as a thick syrupy consistency (for gel/surface coats), an easy-sanding, putty-like consistency (similar to auto body filler) and even a clay-like consistency are possible. The thicker viscosities are also useful, often in conjunction with Aqua-Glass chopped fiberglass, as a covering and reinforcement for rigid foams such as carving foam or EPS.